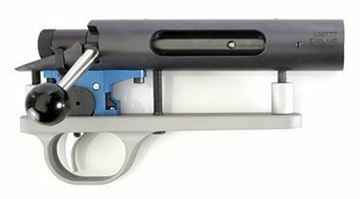 Barnard is best known round the world for the Model P action - a favourite of competitive long range prone shooters (such as Palma team competitors, and NRA prone shooters). HPS carries the high quality Model P version. Barnard actions are finished to the stage where blue-printing is not required. Where an action should be round, concentric and centred - it is. The lugs bear. The bolt fits with minimum clearance when locked. All components that should be centred are. The actions are built with a huge surplus of strength. The ingredients for outstanding accuracy are all present. The P action is available in right or left hand format with standard boltface and 1.5kg trigger. 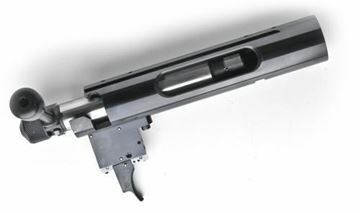 The following options are available: top dovetail (Anschutz standard size), cartridge ejector in the boltface, Magnum boltface, Lightweight trigger, opposite loading port, dual loading port. The latest version of the well proven Quadlock will replace the original 8 sided version with a round body exterior but no internal changes. All other features remain unchanged. Recoil is taken by a single central peg rather than the two lugs of the quadlock, but bedding screw, bolt handle and loading port positions remain unchanged. Available in true left handed version at no extra cost. 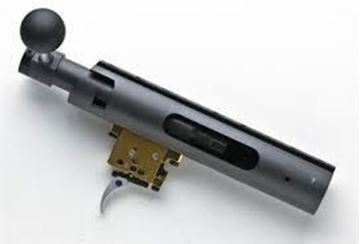 HPS in conjunction offer a replacement trigger for the Swing and Paramount actions. The trigger is a two stage version but may be set to single stage. 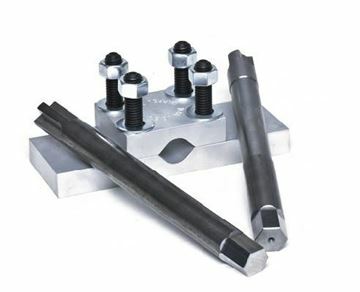 Another modification available is a new square cocking pin in the Swing bolt which prevents scouring of the pin channel and reduces the opening load. Have you ever had a problem with your Swing extractor? HPS offer a modification to remove all the problems. We re-machine the bolt head to accept a Paramount/RPA type extractor. It is well worth considering. Reproofing is necessary.